FREE music and fun! Amazing food! Smiling faces of KOR Property real estate agents. This is what you will find at every Food Truck Fridays. 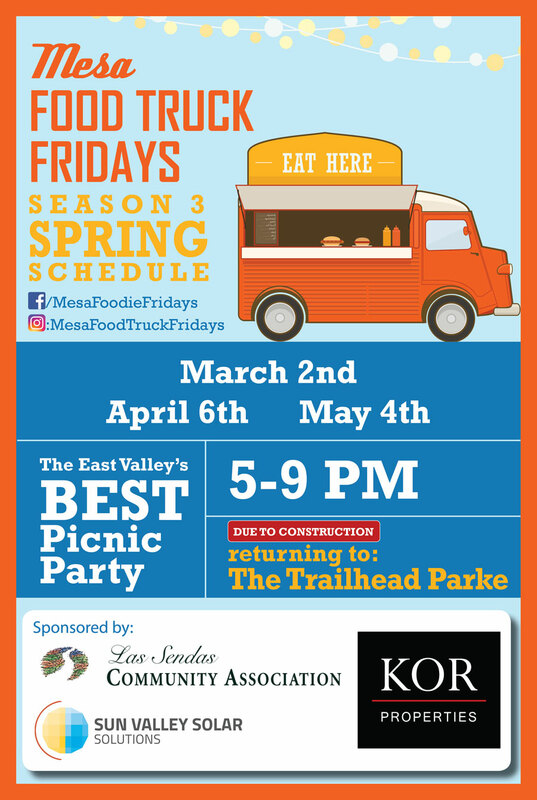 KOR Properties coordinates and sponsors the Food Truck Fridays event at the Las Sendas Trailhead along with the Las Sendas Community Association. It is a lot of fun and EVERYONE IS WELCOME! Come say “Hi!” to us at the KOR Properties table. Click here for a map of Las Sendas. The Trailhead Parke is at the intersection of North Ridgecrest and La Sendas Mountain Drive/North Mountain Ridge.